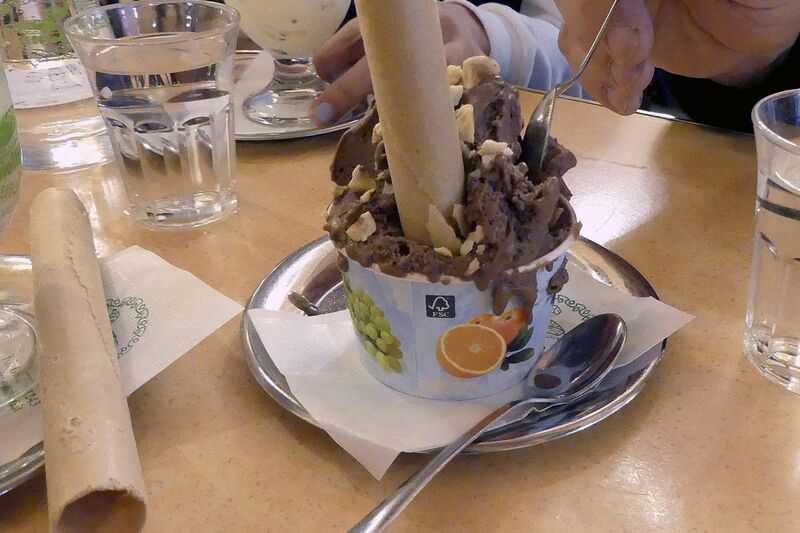 At Giolitti in Rome, servings come adorned with big, cylindrical cookies. We arrived in Rome dreaming of victory — and chilly treats — thanks to a delicious competition. My three companions and I each chose the gelato shop we thought would be the best in the city, based on advance research. When our wanderings brought us near one of our picks, we'd stop in for scoops, one for each of us and another to share. Then came the taste-testing (the best part), and the scoring (the tedious part, using an elaborate formula devised by the lawyer among us). We added a fifth location, near our rental apartment, after discovering its wonders. We forgot to determine a reward for the champ, but that didn't matter. Given the heaps of gelato we enjoyed, we all won. Shops are listed from best to, well, least best.